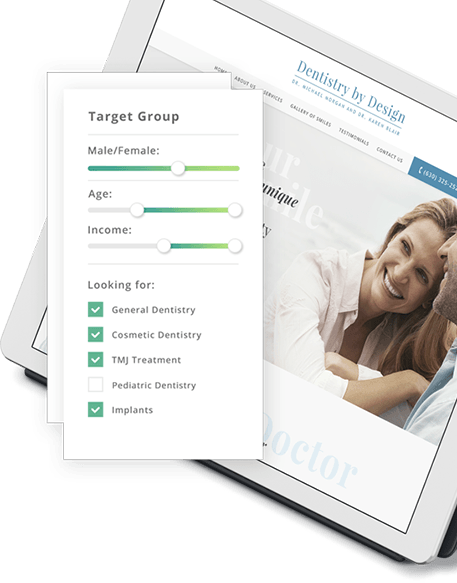 We create custom websites and effective marketing strategies for discerning dental practices. The first step in any internet marketing strategy is to get visibility, and we’re experts at that. When dentists switch to us from a competitor, on average we triple their website traffic in the first 18 months. After that, their average web traffic increases by about 75% year to year. We’re so confident of being able to get traffic to your website that we guarantee it in writing. A critical part of attracting the right patients to your practice is making the right first impression with your website. Whether consciously or unconsciously, patients are judging you by the appearance of your website. At Infinity Dental Web we have assembled a team of some of the best designers and marketing strategists in the business. We know how to zero in on your target demographic. All we ask for is an extended interview with the dentist, and we’ll take care of the rest. We understand the dentistry thoroughly, and based on that interview, will write it as if we were you— customized to your philosophy, treatment style, the patients you want to target, and the services you offer. We’re so confident in our abilities that we will guarantee getting you the number and quality of patients we led you to expect when you signed with us. 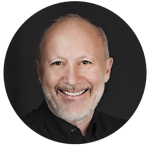 Dr. David Hall, an AACD Accredited cosmetic dentist, founded Infinity Dental Web in 2009. 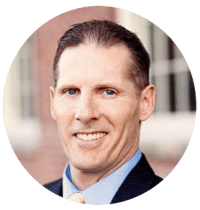 Encouraged by other dentists and driven by the feeling that existing dental website companies weren't fully understanding the needs of dentists, he founded Infinity Dental Web. Since then, he has hired a team of marketing and web experts to achieve our clients’ marketing goals. 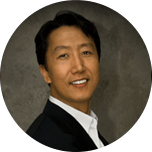 The focus of his practice is aesthetic dentistry, though he is also very interested in dental implant cases. His old website branded him as an ordinary dental practice. We re-branded him as a practice offering advanced cosmetic and general dentistry, which resulted in a dramatic increase in high quality new patients who want smile makeovers, implants, and other high value services. In addition to that, by boosting his SEO we were able to more than quadruple his website traffic in his first six months. We have improved his Google rankings for Lexington cosmetic dentist from the middle of page 3 to number 2 on page 1. All this for about one-third of what he was paying his previous website company. Her target demographic is fairly affluent, but she told us she was willing to accept anyone who valued high quality dentistry and was willing to pay for it. 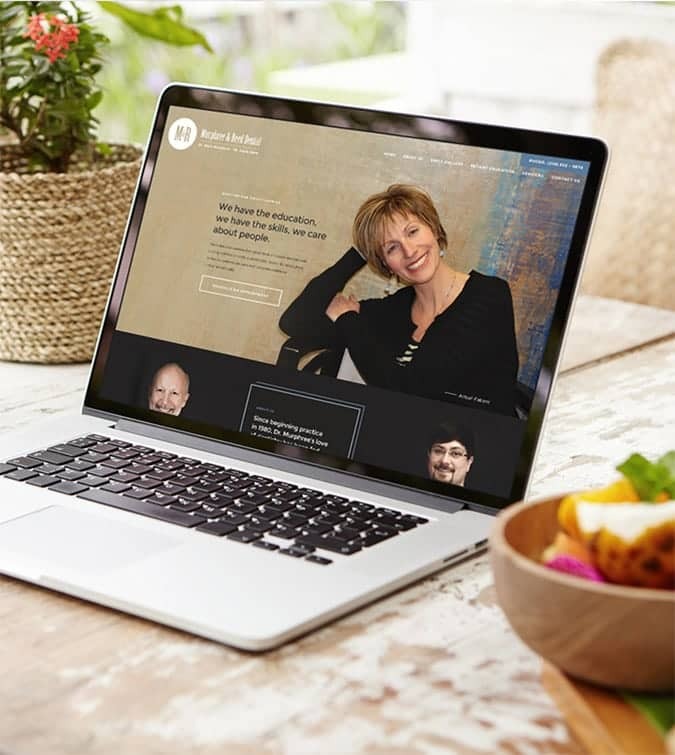 She wanted the website to appeal to people seeking smile makeovers, but wanted to also draw in patients needing basic general dentistry. We gave her an aggressive marketing plan. While her practice is in Portage, we also aimed her search engine optimization at the adjoining larger city of Kalamazoo. We launched her new website in December 2017. We have improved her rankings from page two of Google to number one on page one, and the website so far is attracting new patients at the rate of about 30-35 per month. 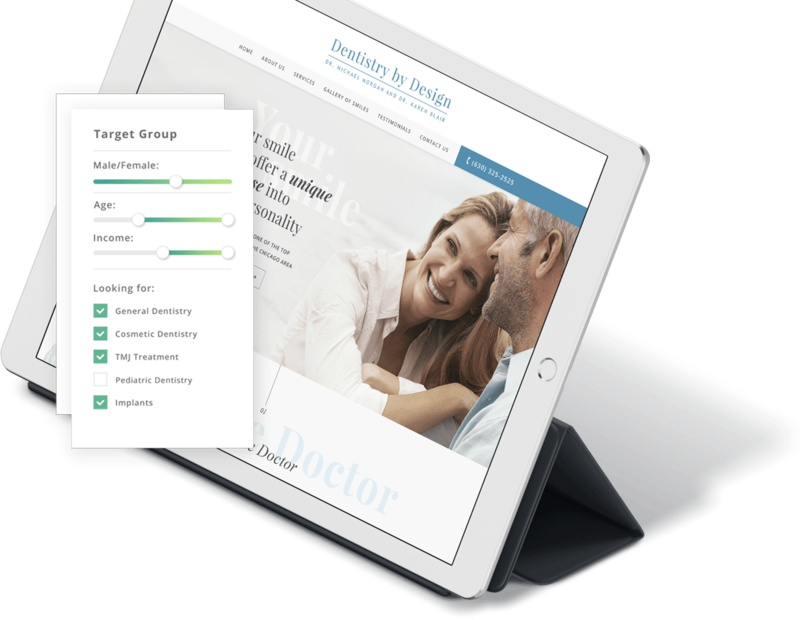 Dr. Pumphrey’s target market demands a very attractive website that conveys a high-tech, top-of-the-line feel. The marketing of specialty dentistry has been changing in recent years. 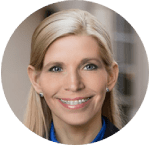 There are increasing numbers of patients who are self-referring to specialists of their choosing, so his website is designed to appeal to them as well as to fellow professionals in the Atlanta area. Just launched in November, 2017, the website is already drawing in about 20-25 self-referring patients per month who are finding him by searching online for various periodontal and dental implants services. 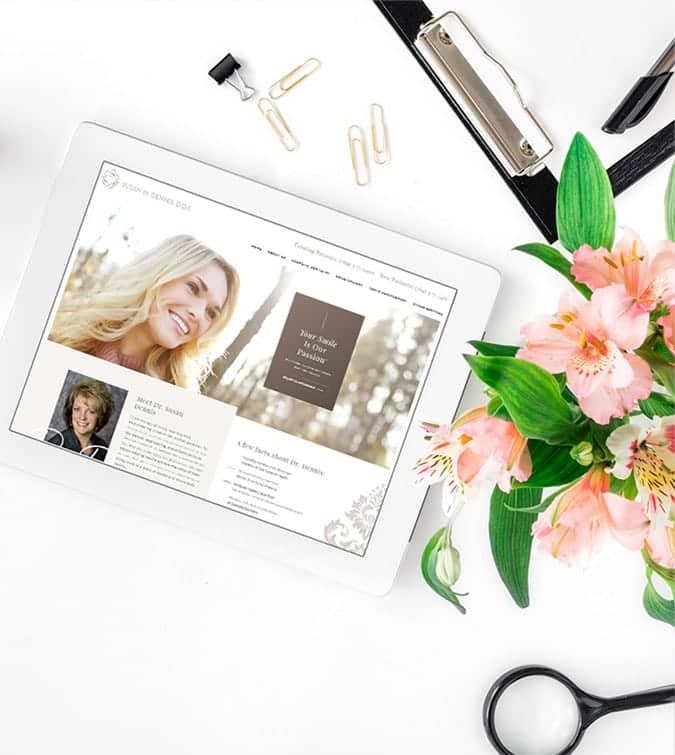 When he approached us in 2016 about switching to us for taking care of his website, we told him that the problem was in the branding of his website and that we were confident we could attract both more patients and a higher level of patient for him. Within a few months of launching the new website, he discovered that we were right. The number of calls increased significantly, and they were patients looking for quality care. We have also improved Dr. Murphree’s rankings from page three of Google for his primary search term to the middle of page one. Angel Dental Care is a busy, five-location practice in the Cleveland, Ohio, area with seven dentists. They cater to a blue-collar clientele with low fees and a wide spectrum of services. It’s important, for a practice like this, that the website not look too expensive, as that could intimidate their target demographic. We gave them a design with a simple appeal, and content that is straightforward, easy to understand, and emphasizes basic care at a reasonable fee. In the six months since launching their site, website traffic has almost doubled to over 4500 unique visitors per month with calls increasing to hundreds per month. Ranking for their primary search term has increased from page eight of Google to high on page one. Testimonials Check Our Reputation . . . Since switching to Infinity Dental Web, we've never seen so many new patients! What we like about Infinity Dental Web is that their marketing strategy bring us patients who want quality care. Our old website couldn't do that. 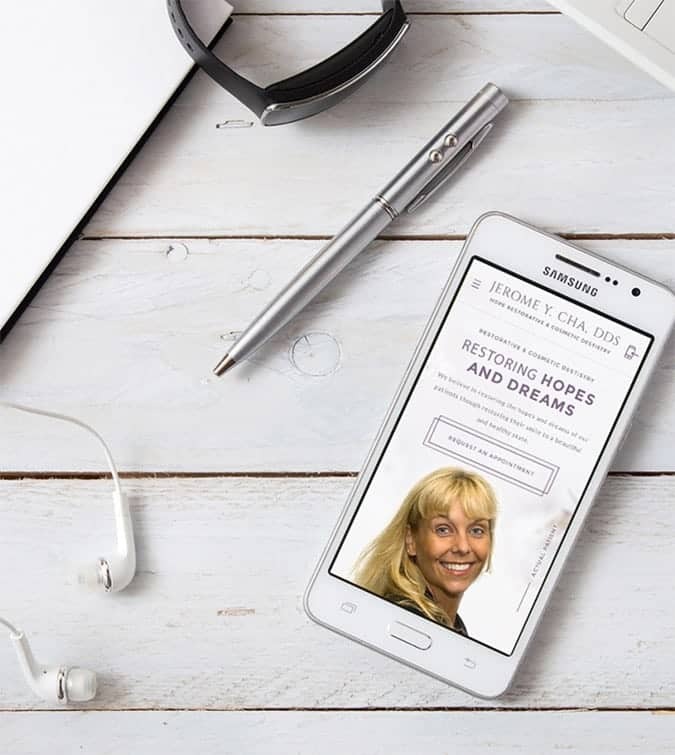 Infinity Dental Web has given me top rankings in Google, a website that faithfully represents the level of dentistry I deliver, and a marketing strategy that has brought me quality patients. My website now gets me great cosmetic patients who are well informed and ready to spend money. And I get great customer service. The biggest thing is that we’ve learned we can trust them. When Infinity Dental Web recommends something to us, we know that they have our best interests at heart. We do what they suggest, and it works. After bad experiences with several website companies, we turned to Infinity Dental Web. Patients are now calling, and these are quality calls from people who want the high level of care we offer.